An average Walmart tops 100,000 square feet. With more than 600 stores nationwide, the company has a mighty footprint. And when a store goes under, it can be somewhat of a crater in the local real estate market. One Walmart in McAllen, Texas—about 15 miles from the Mexican border—got a major facelift from Minneapolis-based Meyer, Scherer & Rockcastle, who also have an office in Marysville, Md. 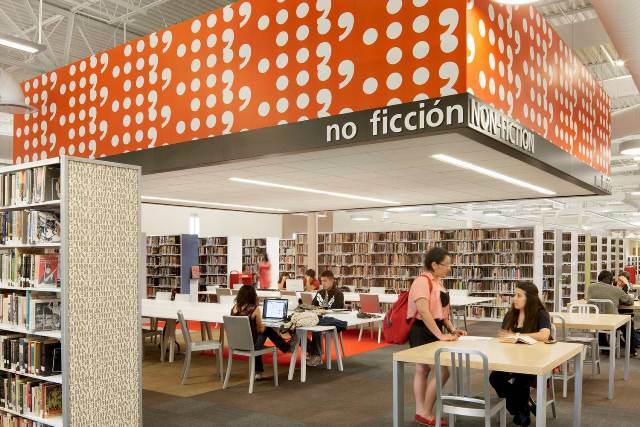 They won an ALA/IIDA Library Interior Design Award for their work converting the defunct big box store into a library. Now instead of groceries and inexpensive consumer goods, a 124,500-square-foot Walmart skeleton houses the McAllen Library. 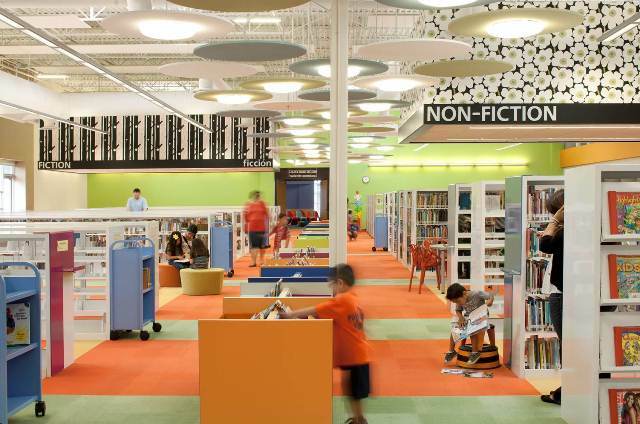 It’s the largest single-story library in the U.S., which could have left readers lost in the cavernous space instead of lost in a book. 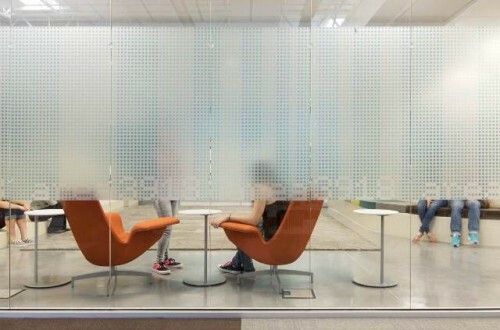 To remedy that problem, the firm adopted some of the building’s original programming: They separated meeting rooms, staff areas, and other programs into quadrants, providing wayfinding with colorful signage and two spines that bisect the building. A number of graphic-patterned ceiling elements delineate genre categories, while a patterned wood ceiling runs the length of the building. 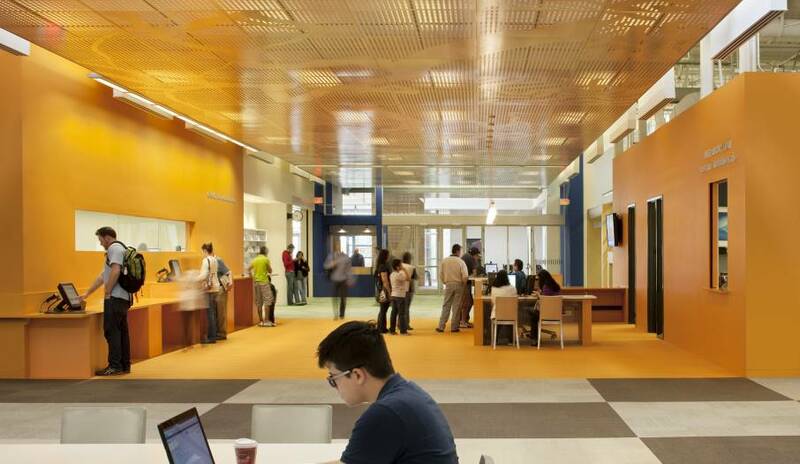 One month after the new library opened, library registration increased 23 percent. Meyer, Scherer & Rockcastle has also rehabbed five abandoned buildings in Philadelphia’s Navy Yards for Urban Outfitters headquarters.